Adding a foil makes it feasible. Opens up a Huuuuge market doorway for those interested in foiling but not interested in kiting..
Tennis elbow until they get a harness line saughted. Being water level you lose the wind speed higher up restricting use for non wave/swell areas. There are some very fast aerodynamic wings with land speed records.. adjust your imagination a little and there you are. And No tennis elbow - they've got it saughted years ago. 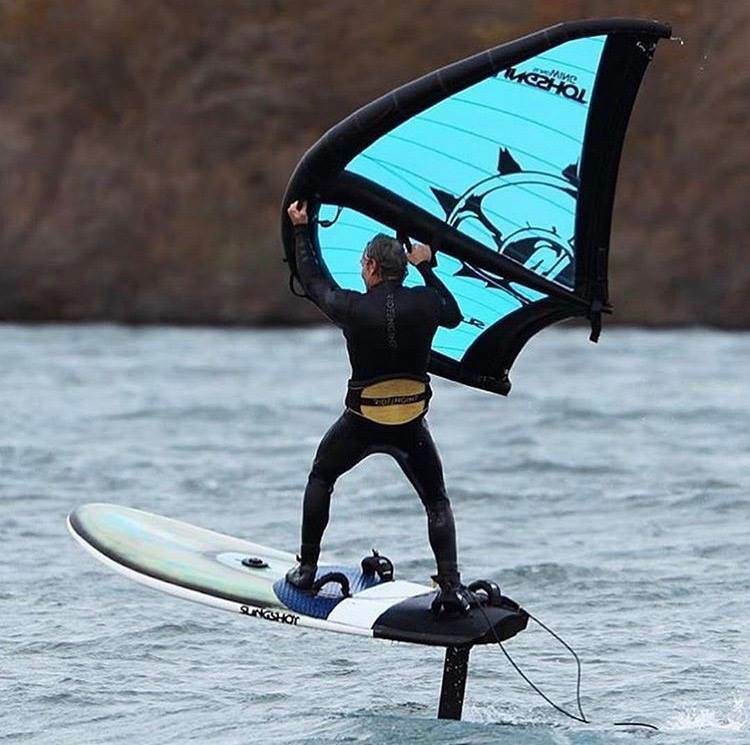 I think Mr Robby the Legend could put Naishs windsurf race designers to work and instantly bridge the gap for very very fast foiling gear. Kitewing = Dumbest name ever though. Its not a kite, it is some sort of wing though. Kites are flown from lines, they need to be flown on one or multiple lines in order to be defined as a kite. Otherwise its a wing thing thats trying to cash in on the phenomenal popularity of kiting. 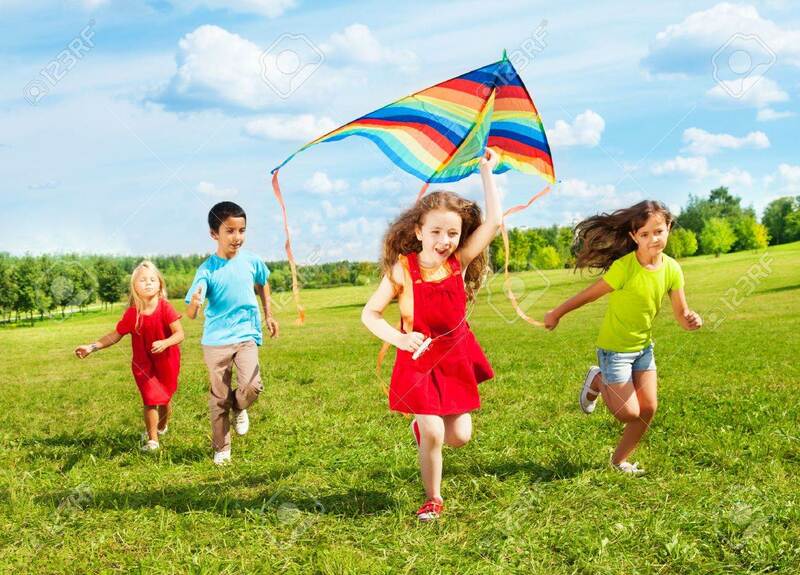 If a kite is sitting on the ground with no lines attached, what is it called ? Why don't they have a harness line? Looks like Kai Lenny is having a go. Note: Ozone brand on wing. It'll be the best WingWang ever, I'm sure. Let the WingWang waving competition begin! You've gone to the opposite end of the spectrum to where my mind went. When I saw Robby Naish's pic, I first checked the date it was posted to see if it was an April Fools joke. Pretty much wrote it off as pointless from his pic, but once I saw his video, I started to wonder if it would gain popularity as a beginner activity (think holiday resorts & tourist beaches, with inflatable sup boards, "glass bottomed" kayaks etc). Less skill/gear involved than kiting or windsurfing to get moving, can use the inflatable sups once the wind picks up. But then I saw Kai's video, and realised the potential that the foil opens up - except foiling is very much NOT a beginner activity. The more I see of the concept in action through the videos, the more I wonder if it may catch on, particularly for waves. Seems to me you could do a shorebreak downwinder using one of these on a surfboard instead of a kite - advantage being less gear involved. Don't see it overtaking kiting or windsurfing for boosting/freestyle though. So far that's Naish, Ozone, and I'm pretty sure I've seen something from Cabrinha teasing these too - so it looks like they may be here to stay for the short-term at least. They've obviously decided there's a market - industry has moved beyond the crazy experimental days I would've thought, particularly with the big brands involved. Just using my basic reckoning but I think this is a very niche item as it's just limited to very big boards, sups, sup foil boards and maybe the biggest prone foil boards and surfboards. Where it might be useful is as a simple convenient add on to make any of these sports wind powered. They would probably pack down really small with no need for a mast, harness or bar and lines. Just have one stashed in your sup/surf/foiling kit and your good to go as soon as a bit of wind kicks up. You would almost definitely want to be using these for waves as I imagine the amount of fun you could have in flat water would be very limited. 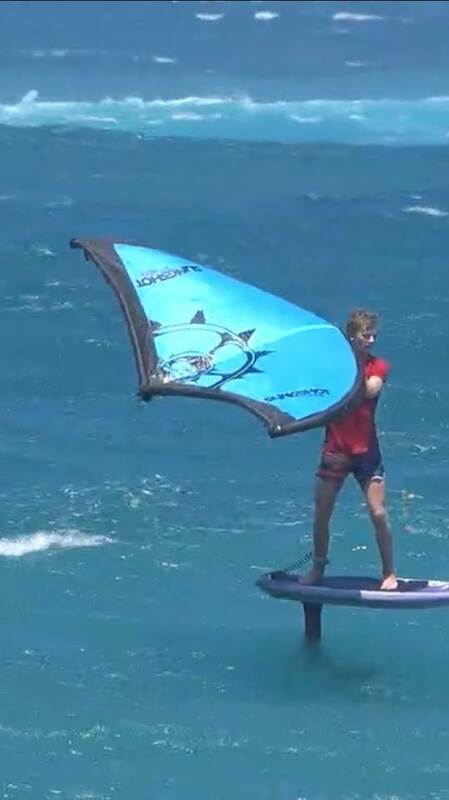 Looks like windsurfing, but more free and unrestricted by the pole dancing pole So looks to be a progression step for windsurfers that want to kite, as most do, but are scared of kite lines that they always seem terrified of. Nah they turn almost instantly but it's a pivot and they make no power in the loop. Give it a couple of million year's , if it's a game changer - I'm sure humans will adapt. You bring your hands together as it goes into the wind or you turn downwind, then swap them. It's actually quite intuitive. Honest. Have to say I fancy a go. Will have a look out at the demo days. Would be good for travel to different spots as you don't need the launch space you need with a kite so I could get out at a bunch of different beaches that are too crowded to launch a kite from. I must be getting old. I remember when that video was new. No offence Breezy. I'm just amazed reading forums and social media, how much some people are talking themselves into this "new" sport, and imagining uses for them that are not going to work. You can forget about one of these working with your twin tip or surfboard unless it is seriously nuking, and even then I doubt if you could do anything except go downwind, if you could get going/planing in the first place. They will not be lightwind weapons, kites and particularly foil kites combined with hydrfoils will be the light wind weapons of choice for a long time to come IMO. You could putt along on a sup in 10 knots, downwind, getting off the beach in onshore conditions will be very hard to possibly impossible. They are super awkward to water start unless you are already standing on something like a SUP, this will be their biggest market, and there is a lot of arm strain or strength required. Naish and Duotone seem to be the keenest at the moment, Ozone is still testing and are unsure about some of the points above. They (the concept anyway) go upwind fine. When you're tooling around, you just hold it one hand and it "flies" itself. Like ... that little girl and the kite Robbie does it briefly in his video. 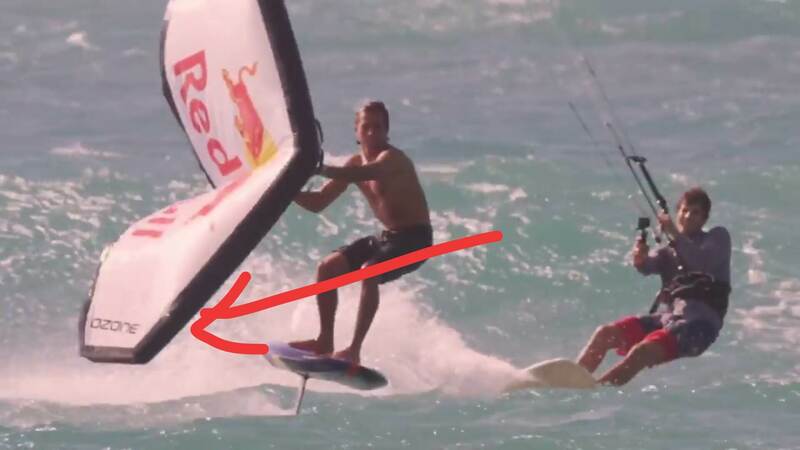 It really seems limited to -- or well suited to -- a SUP and foil (there's video of people trying to use Kitewing with regular surfboards and it looks painful) ... it looks easy with the right gear. There's very little arm or grip strength needed and it looked like Robbie has a harness line in his video, a la windsurfer. I think the Wind Wing style of thing is definitely aimed at SUPs. Naish is and always has been big in the SUP market and Ozone not really. Given such a market you can potentially sell a Wind Wing product to SUP users whether they foil or not. It's certainly going to be easier, with a little practice, to let the wind do the work instead of a paddle. And if you have paddled a SUP in the wind, it's not that much fun, having a product that uses the wind will potentially encourage people to use their SUP more. Even if they buy the wing and rarely use it a sale is a sale. So when the winds up we have the kiters and sailboards out at our local on Moreton Bay, no sups as conditions are really crap for them. I spend my time foiling the runners downwind then tack back upwind to get the next lot. There is no shore break to get out through, the runners are only a 2-300 mtrs offshore. Now if you can get back upwind with one of these I can see the sup downwind brigade joining us when the wind is up. We have seen the #SLINGWING concept grow from garage tech idea to a full blown obsession. We asked Tony Logosz about the development process and here's what he had to say: "I've been getting a lot of questions lately about #slingwing. Everybody is starting to jump on board with this concept. Here's my response. Development started in 2011 as the first inflatable kitewing for Sup surfboards, unless someone has proof otherwise which I'd like to see. The first time I foiled with it was in 2015. 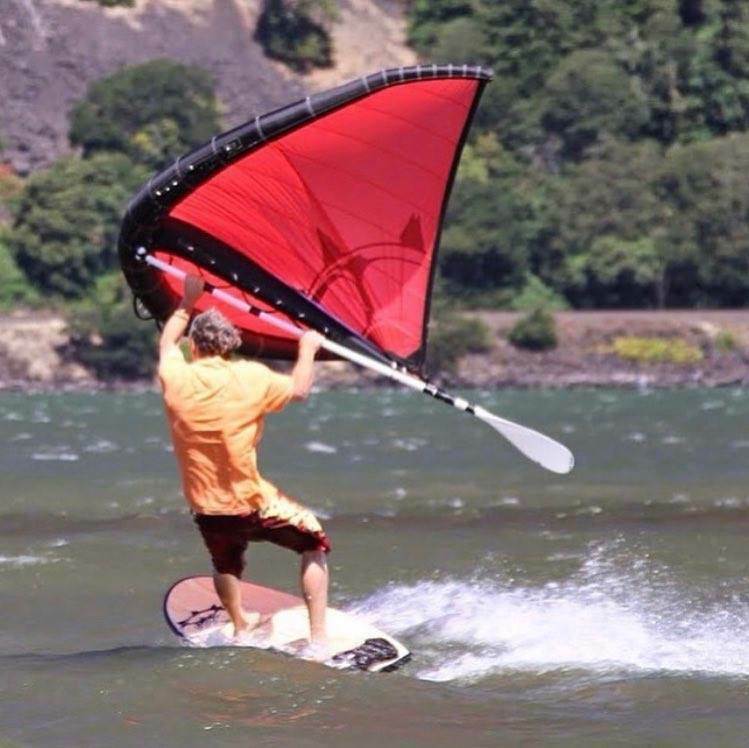 It's a great tool for an introduction into wind sports because it's lightweight, it's inflatable which makes it easy to store, and it floats. No boom, no battens. It's very easy to learn how to use on a floaty board , and super fun. I think it will get people who don't kite or windsurf addicted to being pulled by the wind. For the kitefoiler or windfoiler, they might see it as a novelty which has lower performance than kiting and windsurfing on a foil but it has its own niche because of a different kind of freedom being a hand held kite. Add big foil wings and it's finally ready for the mainstream market." We have seen the #SLINGWING concept grow from garage tech idea to a full blown obsession. We asked Tony Logosz about the development process and here's what he had to say: "... I think it will get people who don't kite or windsurf addicted to being pulled by the wind. For the kitefoiler or windfoiler, they might see it as a novelty which has lower performance than kiting and windsurfing on a foil but it has its own niche because of a different kind of freedom being a hand held kite. ..."
I saw the Slingshot post on FB, and these comments made complete sense to me. If you're on these forums, then you're probably already in the 1% of the population who can kitesurf. Even of SUP boardriders, those who kite would still be a small percentage. So while the concept may seem a bit naff/pointless to those of us who get out 100 days a year and cruise upwind, ride waves and/or boost 5m+ with a kite, there's a whole other "99% of the population" (to steal a quote from the marketing for another kite product) who might see this as a less intimidating form of what we do.